You know the mornings I mean. The baby has kept you up all night and yet still wakes you up ridiculously early. You try to enjoy the comfort of your bed for as long as possible. You hide under the covers. She thinks you are up for a game of Peepo. You riffle through your bedside drawer and give them anything that looks vaguely interesting in the hope it’ll keep them occupied for a few minutes. You throw their dummy across the room and buy some precious bed-lying time while they make the journey to retrieve it. You close your eyes and pretend to be asleep for as long as you can take the pain of the baby pulling your hair and sticking her fingers up your nose. But in the end, you give up. Because getting up is actually less tiring than staying in bed with a baby who is wide awake. You hide, they seek, and seek, and seek some more and hopefully won’t find you for a very long time (lying down time achieved depends on how good you are at hiding). 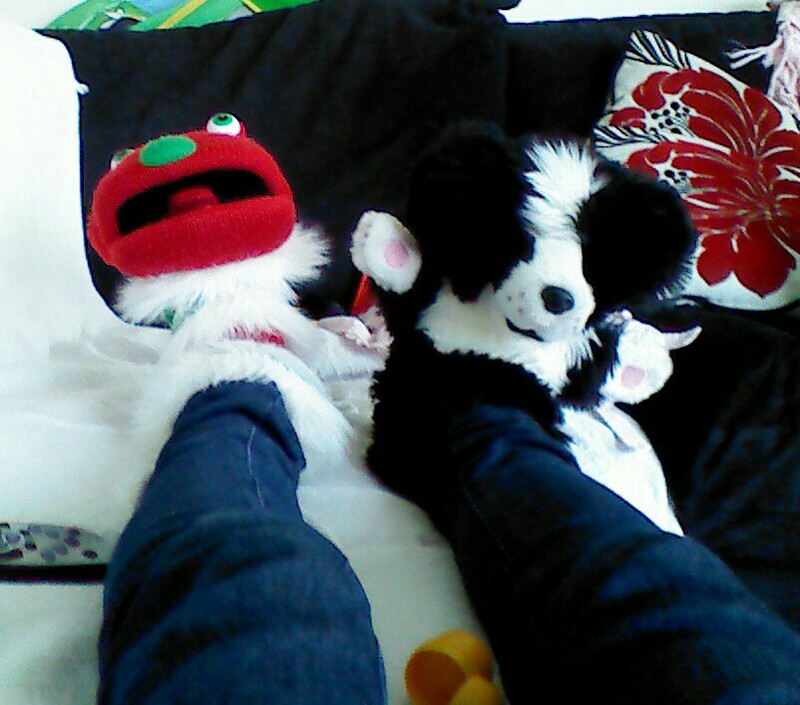 When I say ‘show’ clearly I mean lie down on the settee, place a puppet on each foot and wiggle them around a bit. Instant entertainment. 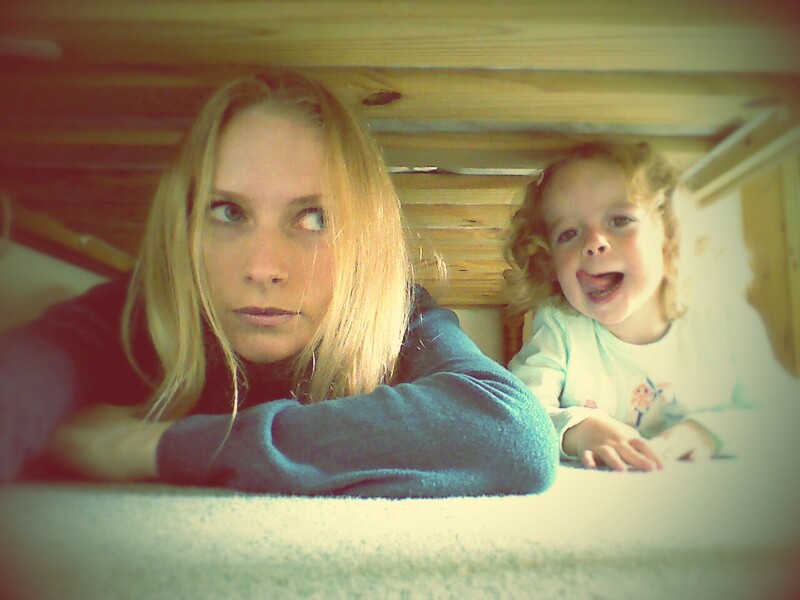 Hide ‘treasure’ around the room then lie down while they enjoy the hunt. Continue to lie down shouting ‘colder‘, ‘warmer’ and ‘not in the toilet’ for as long as it takes for them to have a tantrum about not being able to find the treasure. WARNING: Be prepared for another tantrum when they realise the ‘treasure’ is actually half a kinder egg, an apple, one stale custard cream and bread sticks. This is literally all there is to this game. 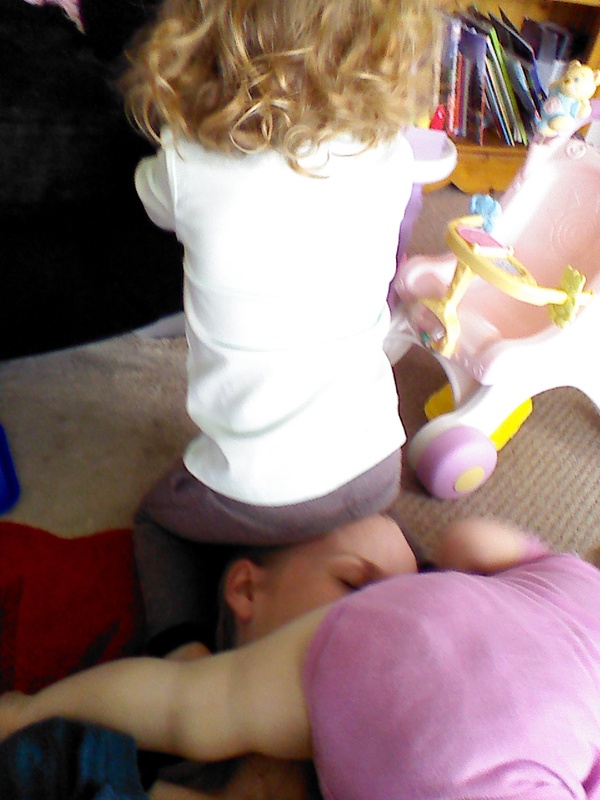 As soon as you lie down toddlers and babies will feel the urge to climb on you. That is a fact. Kids love a box. And once they are in the box they often don’t want to come out of the box. So valuable lying down time is achieved. However, you may pay for it when they do not even want to leave the box for lunch…or a poo. 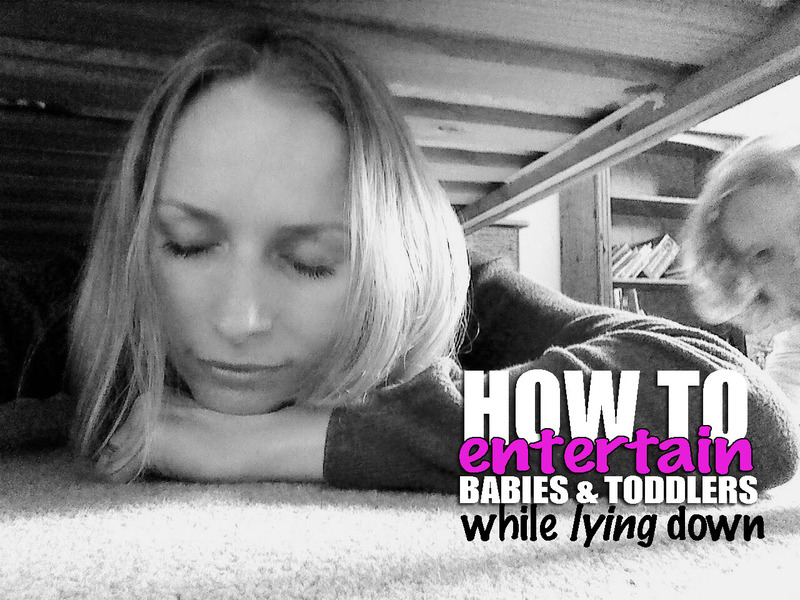 How do you entertain your babies and toddlers after a really bad night? Feel free to share any ideas in the comments box below or on Facebook or Twitter. We put a tent up in the shed with a kingsize mattress that covers the whole floor of the tent! Filled it up with plastic balls and balloons…. Awesome!!!! We get in, zip the tent up and I get to lie on the comfy mattress and pat the balloons and throw balls for ages. Our toddler loves it….. So do I. Even hubby takes a turn at night when he gets home from his building work! Ha ha that is a brilliant idea..i will have a go. I am too much of a wimp to brave the spidery shed but we will definitely try an indoor version! Splash pool! You will have to stay awake though and it’s probably not a good idea in cooler weather. Yes, although splashing in ice cold water during the British summer- great way to wake me up!! Bronwyn recommended your blog! I enjoy reading these ideas! Climbing frame and box are such terrific ones 🙂 Now, look forward to your writing process! Ah thank you so much! So, now i need to find a way to entertain babies while typing!? I look forward to reading your blog…twilight reading by the time the children leave me alone!! Playing hospital is a good one: give them a loo roll and let them bandage you, tuck you in with a blanket and bring you pretend cups of tea while you recover. A variant of treasure hunt that I enjoy is “fetch”: zoom toy car along the floor or chuck a cuddly toy far away and let them bring it back to you. Repeat ad nauseam. I will definitely let you know how it goes. Now to come up with a few ‘plot lines’… getting all the books out of the shelf springs to mind..
That top photo is priceless. I think we’ve mainly used Hide And Seek, Climbing Frame and Not In The Toilet (gosh – treasure hunt – that would have added a sunnier dimension to that game). I’ve also used Let Me Video You which is where you video them and then play them back, repeat, etc. Kids are such narcissists this one can stretch for quite a while. Ha now that is a good one! The toddler already enjoys looking at pictures of herself so a whole video could buy me more lying down time! Try it and report back. I want to see if it’s as universal as I think it is, and also how many variations you can come up with. My top 3 for toddlers: let’s massage mum (2sek), mum is at the hairdresser s and kids style with clips (3yo girl – looong and enjoyable, 2yo boy – 30 sek of pain), a song where the bear sleeps in the middle and wakes up at the end. Especially enjoyable when mum bear is not ssupposed to wake up because it is a looooong winter. Ha I love the sound of the hair dresser game! I like having my hair brushed. I bet my angels would bloody pull it though!! 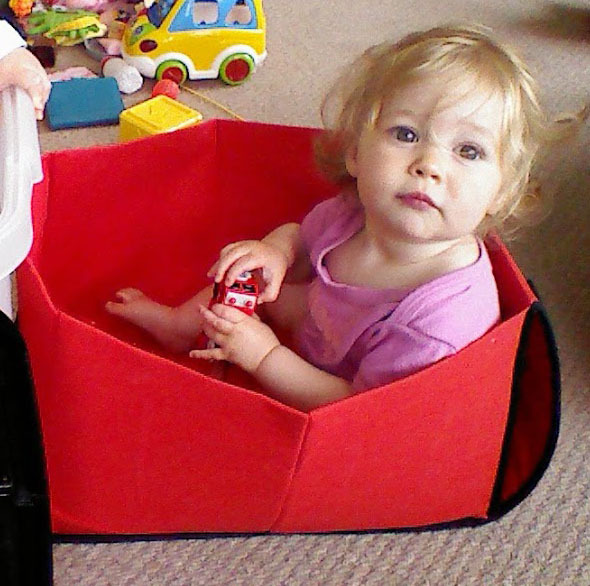 Just to clarify, Emily-Jane is not condoning locking children in boxes.